Managing Your Life in Management Series: I Didn’t Want to Admit It but I Was Wasting Time. As much as I didn’t want to admit it, I was wasting time. How? By not keeping my work environment organized. 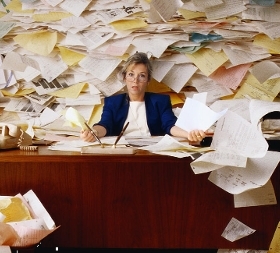 If your office, cubicle or unit space is messy, your mind may become disorganized also. The result of a disorganized mind is your actions will be chaotic in nature. I used to tell myself “messy is OK” I had a certain level of messy I was comfortable with. Papers would be all over my desk and yet I thought it was no big deal. 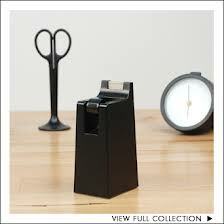 At times I would need a specific piece of paper or item on my desk. I knew it was there and I thought I was locating it quickly. The truth is, it might take me a minute or two to shuffle a few things around before I actually located it. What I later realized was that those extra few moments it took to look for that item was wasting a few minutes, here and there, several times a day. Those wasted minutes were adding up by the end of the day and even more by the end of the week. I was frustrated and wondered why I was working extra hours at the end of the day just to complete things that I didn’t get to. I was wasting time day after day. I began to do what I call, “Pick it up and handle it sort of day.” This is where I do not allow myself to move things around. If I pick it up, I must handle it to its completion. It may not be what I wanted to do first but if I picked it up I must do it. By doing this I found that I really became more productive. For so many years we’ve been taught that multitasking was an essential skill. Now we know it may be more of a curse than a blessing sometimes. As managers we have so many things to do in a day. You have to prioritize and re- prioritize minute by minute. Organization is an important skill that will help you in you work life and your personal life. As you are organized, you will reflect a sense of confidence to those around you. When the chaos of our jobs is running rampant, being organized is the calm anchor in the middle of the storm. • For the computer savvy, Outlook has a feature called “Tasks.” You can add items you need including appointments and things you may want others to do. Time limits can be scheduled along with reminders. At the end of the week, you can review what important things still need to be done. • If you are connected to paper (like me sometimes), take inventory of your daily tasks. Organize them into no more than three categories. I.e., daily, weekly, monthly or something that works for you. Mentally divide your desk or work environment into three parts that coincide with your categories. When people hand you things throughout the day put them in the appropriate section so things aren’t in disarray. • Still disorganized? Try my “pick it up and handle sort of day” at least once a week. It might not feel like you’re doing something important at the time but at the end of the day you will have a sense of accomplishment! *Take 5 minutes at the end of each day to clean off your workspace. Clear your desk of junk mail, throw away papers or wipe down your area. Doing this will get you prepared to start the next day with a clean slate. What do you do to keep organized in the midst of your day to day operations? Share your successes or failures in the comments below!